Trada Casino Welcome Promotion: Get 10 Bonus Spins Wager Free! Are you looking for some Bonus Spins offers? If you are a new player and have not yet signed up at Trada Casino, then take part in the Trada Casino Welcome Promotion. 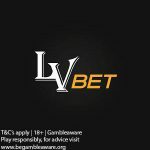 Register for a casino account and get 10 No Deposit Bonus Spins absolutely wager-free on registration. 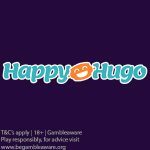 Make your first deposit of £/€/$10, and you will receive 100 Bonus Spins. If you are a new player at Trada Casino, then you are eligible to get 10 No Deposit Bonus Spins that are absolutely wager-free on sign up. What does this mean? You take your bonus spins winnings without having to fulfill wagering requirements. The maximum that can be won is $/€20. Sign up for a Trada Casino account using the links on this page. Once your account is verified, log in and claim your 10 No Deposit Wager Free Spins on the qualifying game: Wolf Gold Slot. 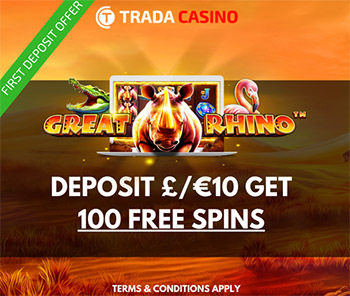 Deposit £/€/$10 to get 100 Bonus Spins on the Great Rhino Slot. The wagering requirement for the Welcome offer is 20 times. 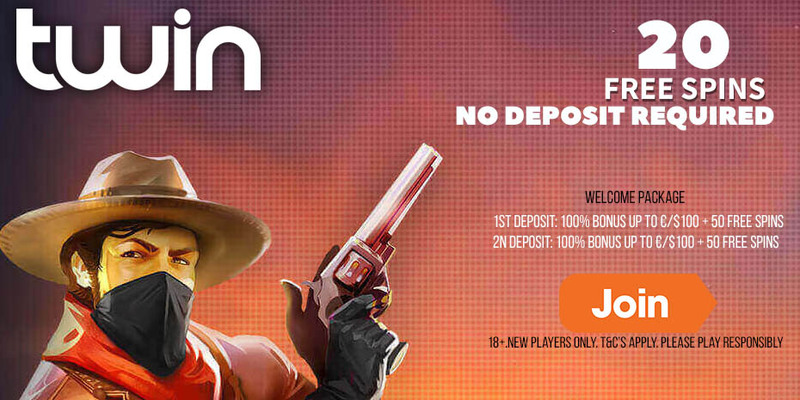 The maximum cashout for the No Deposit wager-free bonus spins is $/€20 or equivalent. Players residing in these countries are not eligible to open up an account at the casino: Nigeria, Pakistan, United States, Afghanistan, Algeria, Angola, American Samoa, Australia, Belgium, Bosnia and Herzegovina, Cayman Islands, Cyprus, Denmark, Iran, Iraq, Israel, Italy, Japan, Korea, Libya, Laos PDR, Martinique, Panama, Poland, Portugal, Saudi Arabia, Singapore, St. Pierre and Miquelon, Spain, Sudan, Syria, Tunisia, Turkey, Uganda, Vanuatu, Vatican, Wallis and Futuna Islands, Yemen, French Guiana, French Polynesia, French Southern Territories, Ethiopia, France, Guyana, and Hungary. Slot Planet Casino No Deposit Bonus – Get your €10 No Deposit Bonus on sign-up! 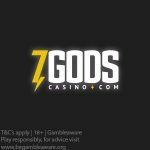 Posted in Trada Casino and tagged february 2018 promotions, Trada Casino.